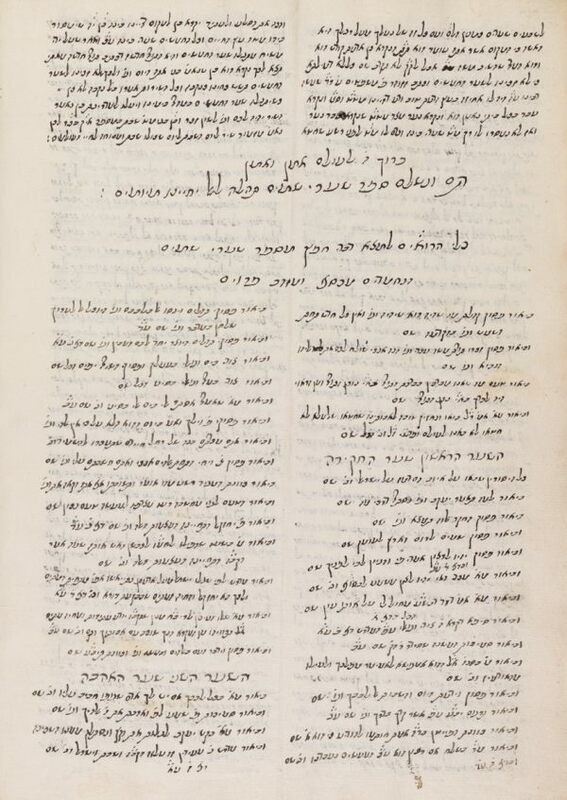 Sefer Sha’are Shamayim, homilies by Yehiel Mikhel ben Aryeh Segal of Kalisz, late 17th century copy. Hebrew / Paper / 28,9 x 19,1 cm. / ++ ff. / Sephardic cursive writing of the late 17th century / No title / Text written in two columns.